The JD Chisel Point is a penetrating tool to dislodge heavy blockages of any kind. These nozzles have 4 x forward jets with 3 @ 15° and 1 in the centre. 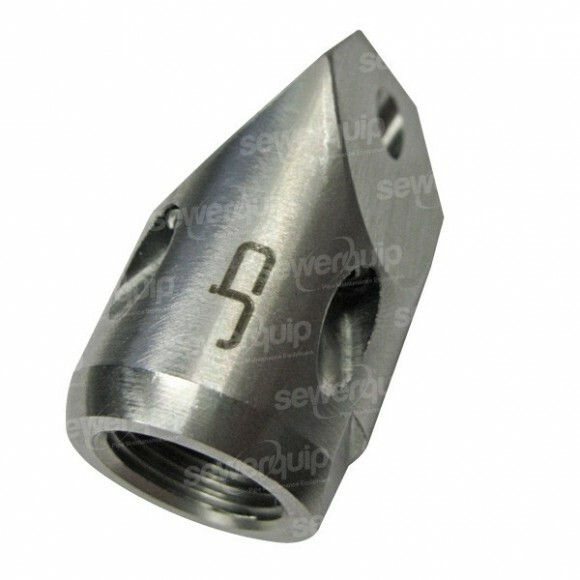 With 3FLOW flow enhancement and jet inserts, these nozzles are extremely efficient and offer the most power for your machine. Made in Germany from stainless steel.